Julian Pimentel and Sarah’s Treasure gave trainer Claudio Gonzalez his 500th career victory. Photo by Jim McCue, Maryland Jockey Club. 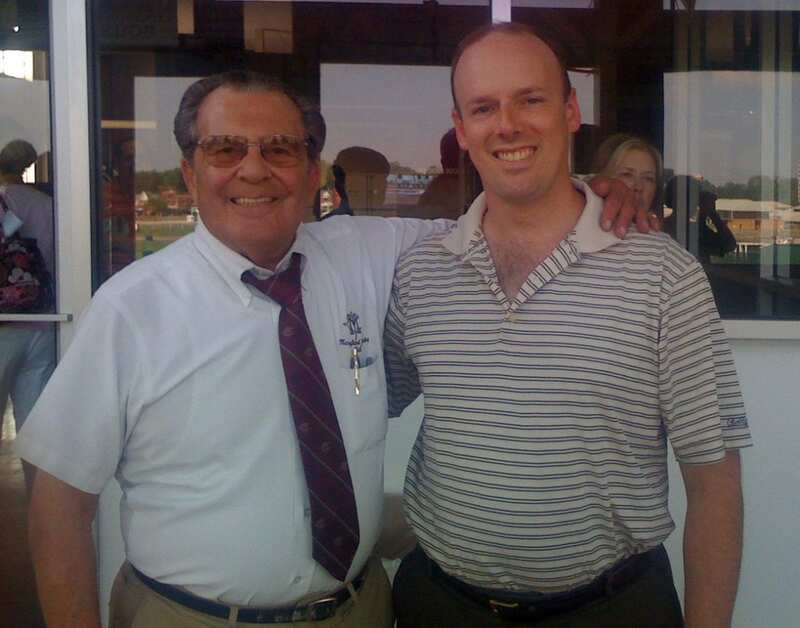 As journeys go, trainer Claudio Gonzalez’ trip from 495 wins to 500 — well, 501 — wasn’t much. But it felt pretty good to the conditioner all the same. 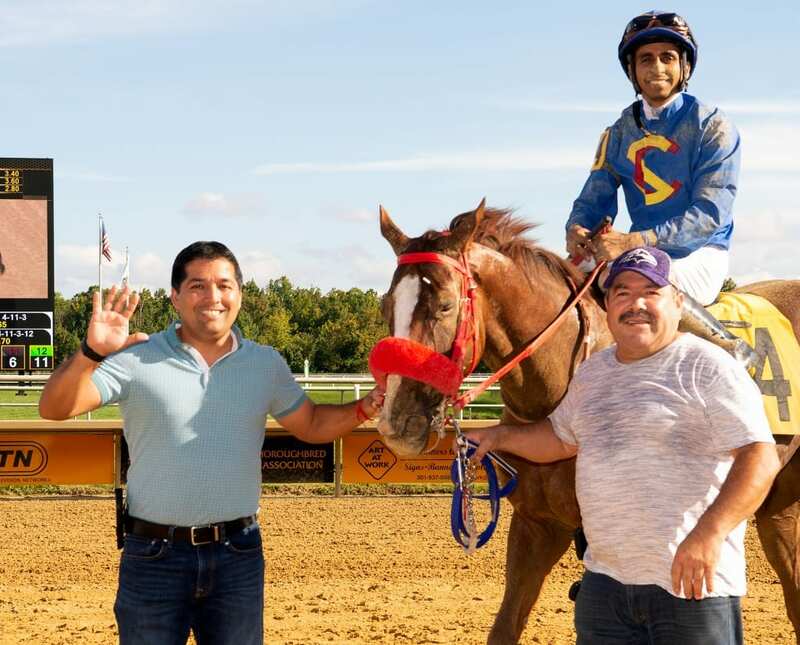 Gonzalez logged six victories in three days, and with two scores on Saturday — one at Laurel Park and one at Parx Racing — he reached and then surpassed the 500-win mark. Gonzalez has 501 wins from 2,461 career starters with career purse earnings of more than $13 million. Gonzalez struck out on his own as a trainer in 2012, winning six races that year. He won 60 the following year, however, and has topped that number each subsequent year. In 2017 he topped the 100-win mark for the first time, winning 118 times, and in 2018, he already has more than 100 victories. Thus far in 2018, he has already set a personal earnings mark. His runners have logged over $2.9 million in earnings to date this year. In today’s racing, Gonzalez sent out Hashtag Selfie in the seventh at Parx Racing in a claiming race that went off at 3:42 p.m. and then Sarah’s Treasure at Laurel in a starter/optional claimer that went off exactly one hour later, at 4:42. Hashtag Selfie, a Maryland-bred he conditions for Robert Bone, posted a front-running, 15 1/2-length triumph under Edwin Rivera at Parx, winning under wraps. Hashtag Selfie paid $12.60 to win. Then, an hour later, in the off-the-turf starter, Sarah’s Treasure, a five-year-old Eskendereya mare who had just a single win from 26 prior starts, rallied under Julian Pimentel to get up late to win by three parts of a length. Gonzalez conditions her for Super C Racing. She paid $15.20 to win.